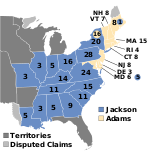 The 1828 United States presidential election in Pennsylvania took place between October 31 and December 2, 1828, as part of the 1828 United States presidential election. Voters chose 28 representatives, or electors to the Electoral College, who voted for President and Vice President. 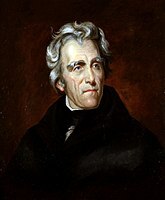 Pennsylvania voted for the Democratic candidate, Andrew Jackson, over the National Republican candidate, John Quincy Adams. Jackson won Pennsylvania by a margin of 33.32%. 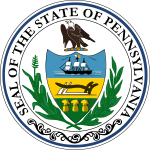 ^ "1828 Presidential General Election Results - Pennsylvania". U.S. Election Atlas. Retrieved 4 August 2012.